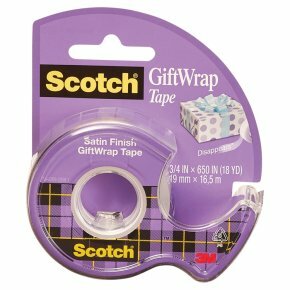 Scotch® Giftwrap Tape features a unique satin finish that disappears on most gift wrap papers. Makes your gifts look great. Sticks securely and is easy to dispense. Great for gift wrapping, paper projects or adding a finishing touch to household projects.